2nd grade quiz on addition of 3 digit numbers - Three digit numbers have three places. 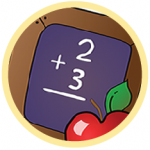 In this quiz second graders will learn to add large numbers up to the thousands place. For example 125 + 235 = . There are cases where there is adding and carrying (regrouping) and in other cases not. 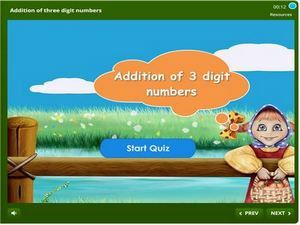 This quiz enables students to develop great skills in addition and will prepare them for higher levels. Educators will find this a useful supplementary material both at home and in the classroom. Start practicing now.